Estonia's top-ranked female tennis player Anett Kontaveit lost to Russian Maria Sharapova in the quarterfinals of the Stuttgart Open on Friday. 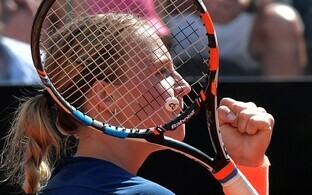 Sharapova beat Kontaveit 6-3, 6-4. The Russian five-time Grand Slam winner is back on court playing her first tournament in 15 months since being banned for taking the drug meldonium. Kontaveit (WTA 73) on Wednesday defeated Spanish tennis player Gabrine Muguruza (WTA 6) 2-6, 7-6 (1) and 6-1 in the second round. 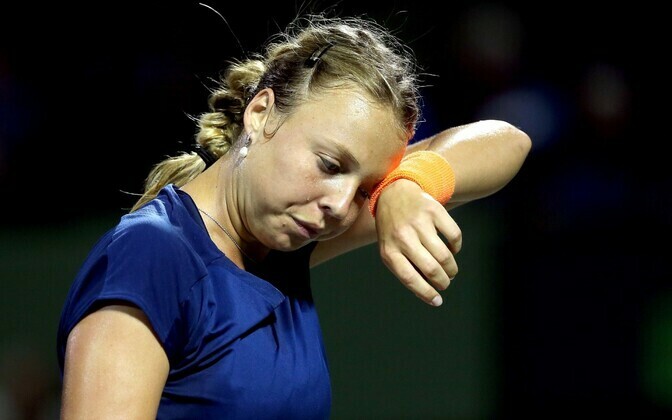 Kontaveit, 21, had sealed her victory in less than two hours and 15 minutes, marking the first time the Estonian tennis star had defeated a top-ten player.